The MNA is global in nature. We assess nonprofit organizational capacity and nonprofit leadership effectiveness with a global and local (glocal) perspective. To do so we also encourage short term Academic Global Immersion (AGI) Programs for understanding the socio-cultural and politico-economic context of nonprofits and NGOs in other countries. 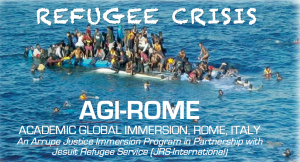 In 2015, Dr. Marco Tavanti launched an AGI in Rome, Italy studying the refugee crisis and the role of NGOs and IGOs to adequately respond to the crisis. USF partners with Jesuit Refugee Service (JRS) an NGOs dedicated to the accompaniment, service and advocacy of refugee work. In 2016, Prof. Kevin Hickey lead a delegation of MNA and other SOM students to a program immersion in Washington DC where they met with several nonprofit and government agencies to understand best practices in advocacy and policy making. The AGI students were also instrument for the preparation and coordination of academic symposia back home where they connected with local nonprofits dedicated to human services, advocacy, refugee resettlement, and anti-human trafficking. Program overview: The field of refugee service management involves many nonprofit and civil society organizations worldwide. Rome and the rest of Europe face an ongoing forced migration crisis illustrated by many displaced people, refugees, asylum seekers, and victims of human trafficking. International nongovernmental organizations (NGOs) and national nonprofits (ONLUS) struggle to provide adequate services while seeking just policies, solidarity, and innovative approaches. 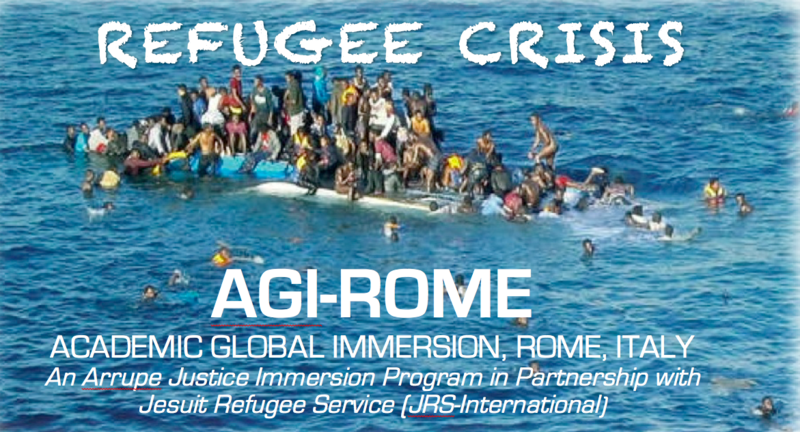 The Jesuit Refugee Service (JRS) international office is headquartered in Rome, Italy. Students learn about JRS’s programs, methods, and approaches in addition to other organizational leaders and experts in the field. Students will work on collaborative projects and experiential learning activities. They learn about international organizations and their works for effective humanitarian emergencies, cross-sector partnerships, and global policy advocacy. The mission of USF is central to this program as it shares the Jesuit values of JRS and it is connected to several nonprofits in the Bay Area engaged in refugee services and the fight against modern slavery. Program Outcomes: The experiential, intellectual, and professional learning outcomes of this course/program include. (1) Recognizing the managerial, organizational and international factors behind the refugee and modern slavery emergencies of our time. (2) Comparing and contrast national policies and practices regarding forced migration affecting NGO and NPO programming. (3) Analyzing the cross-sector, cross-cultural and multidisciplinary elements of NGO management. (4) Recognizing the needs and develop solutions to increase the capacity of organizations and the effectiveness of programs, and (5) Aligning personal values with international human rights and Jesuit values of justice and human dignity. 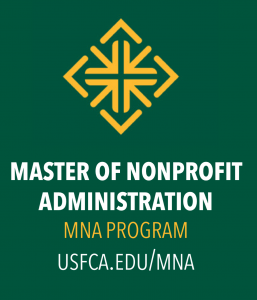 The course associated with this immersion program (Leading Social Change: Institutions and Policy) explores the role of nonprofit organizations in the formation and implementation of public policy in the United States, including the political functions of the nonprofit sector, the implementation of government programs by nonprofit organizations, and the roles of nonprofit advocacy and lobbying in government decision-making. The academic immersion course in Washington, D.C. provides students the opportunity to learn directly from nonprofit leaders and others working at the federal level on issues of concern to nonprofit organizations. The immersion activities, panels, and discussions serve as the basis for critical analyses of policy issues important to the nonprofit sector. The goal of the AGI-DC is to develop students’ understanding of policy work at the federal level, and also garner insight from professionals in the field about possible career opportunities in policy advocacy work. The USF for freedom symposia connect the global to the local. MNA students who participated in the AGI are active to organize an annual event that reflects on the same issues addressed in their programs and connect with local nonprofit organizations dedicated to these very same issues. 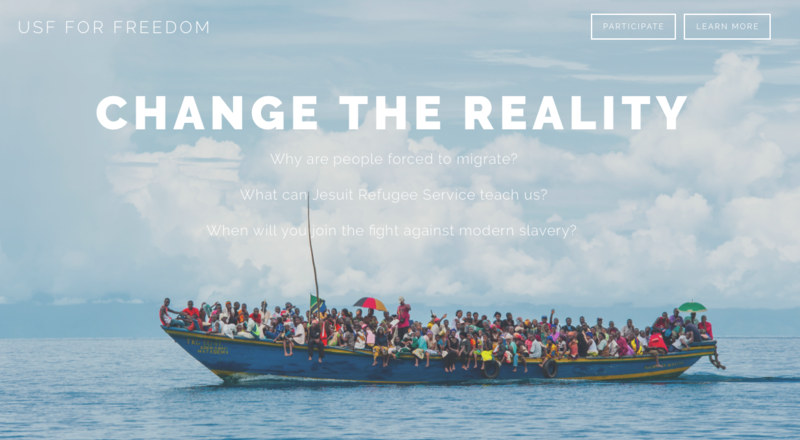 The 2015 USF4Freedom symposium explored the connections between refugee service, jesuit accompaniment and anti-human trafficking. 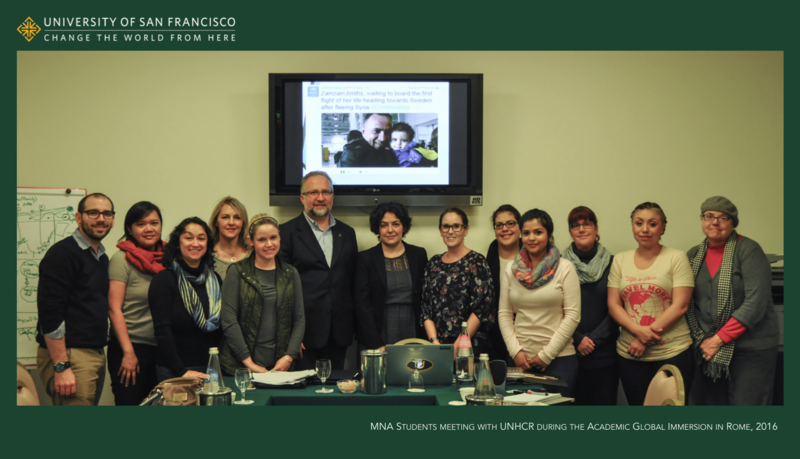 The 2016 USF4Freedom explored the connection of the refugee crisis with the academic responsibility and the notion of human security in relation to forced migrations.